BAE Systems’ land and armaments business has landed a potential $474.1M contract to provide support services for the U.S. Army howitzer systems designed to fire at targets within a range of nearly 20 miles. 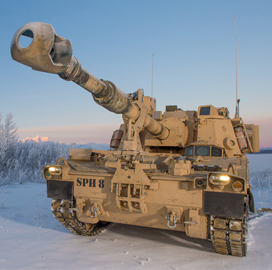 The cost-plus-fixed-fee contract includes work to manage the engineering, quality, software and configuration of the military branch’s M109 Family of Vehicles, the Department of Defense said Tuesday. Army Contracting Command received one bid for the contract and will determine funds and work locations with each order. The Pentagon expects the company to complete its services by Jan. 21, 2025.